Ready to change your room this year? One of the most difficult components of decorating can be deciding on new carpet. There are so many decisions to make: style or carpet, fiber type, pattern, quality, price, and finally, color. Color is often the most difficult choice because it can be tough to visualize the color in your room’s layout. A tiny swatch might be beautiful but how will it look once it’s installed? The effects can be so dramatic, it’s one of the leading factors causing homeowners to wait and delay their decisions. Here are a few tips to help make the process a little easier. Every room has a central element to it. Your color should play off of that central element. For example, in your living room, the sofa is often the largest piece of furniture in place. And because you have definite ideas about the type of sofa you want to include in your room, it’s often the best place to start when deciding color. Many sofas are limited to just a few swatches of fabric. Your color and pattern choices can control the overall look and feel of your room. Make that your first choice and you can use that to decorate the rest of your room. Use that same logic with every room in your home. With a bedroom, for example, you have more options because the bed can be changed out regularly with comforters and pillows. In that case, selecting your carpet color first can impact the mood of your bedroom. There is a reason why neutral color is the carpet industries biggest sellers. Carpet has a big impact on a room, and because of the expense, it isn’t something you’ll change out on a regular basis. Unless you have the resources and the patience for changing out your flooring regularly, it’s wise to select a neutral color that will look good in many situations. Neutral carpet gives you a clean background for adding colors that are easier to change out, such as with your paint or with your decor. Your lifestyle and the way your room will be used should also play into your final decision. A busy household with kids and pets should stay away from light carpets that demand a lot of attention. Keep in mind that very light and very dark colors show a lot more dirt, stains, and wear than their mid-tone counterparts. A carpet that is neither too light nor too dark will be the best color for masking wear issues. The carpet color can impact the entire look and feel of a room, so it’s important to select your color wisely. Think about trends and how you’ll live with this color down the road. Will it wear well with the changes in your family’s lifestyle? 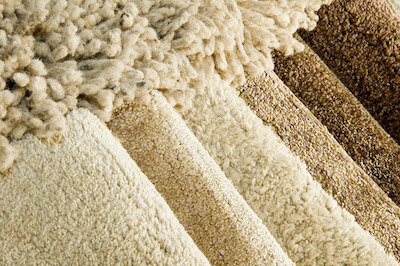 How can we help you select the right color carpet for your home?